Welcome to the online gallery of visual artist Jeremy Kyle. 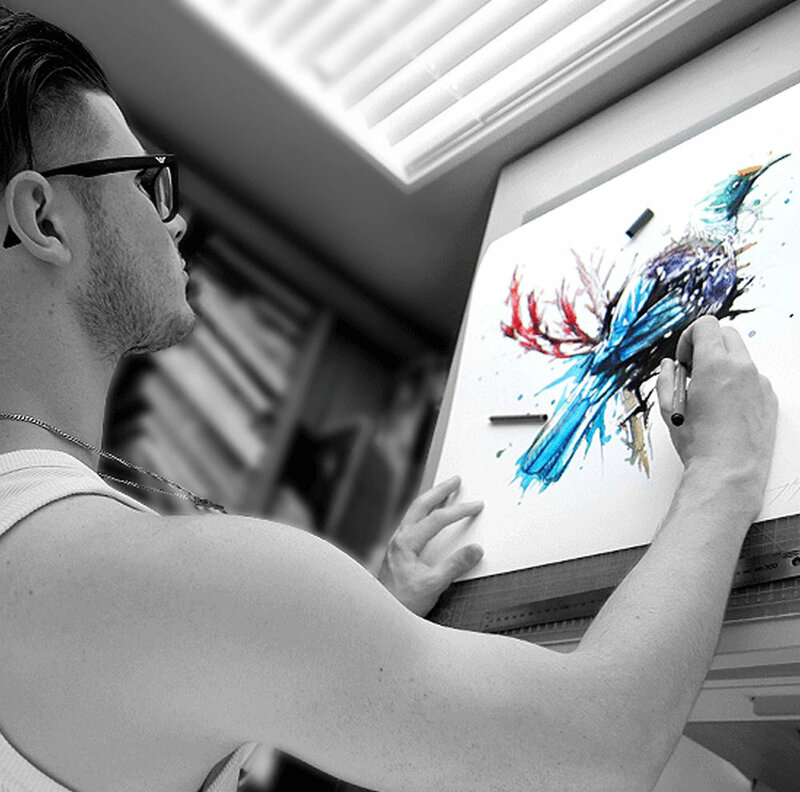 Jeremy has developed a powerful technique, working in watercolour and ink mixed media to create stand out works in visual communication. His paintings are known for their splatters and intricate line-work, creating highly detailed and dynamic pieces of art which immediately capture the attention in the room. Jeremy’s creativity and artistic skill are sought after on international levels, having been commissioned to make paintings for world names including the Chicago Bulls, The New York Times, The History Channel and the United Nations. From an early love of art at elementary school, to becoming an internationally recognised artist at a young age, Jeremy has established an art brand noteworthy of collectors. Most well known for being commissioned to create the Chicago Bulls 50th Anniversary paintings, and the feature art for the Presidential suites at the United Center Stadium. Jeremy's artworks now grace the walls of well known CEO's and celebrities, including Michael Jordan, Derrick Rose, Pau Gasol and Jimmy Butler. His works give the impression of being dynamic and highly spontaneous, yet are actually very precise, deliberate and careful in their execution. They quickly inspire a sense of motion and vibrancy to the viewer, with the images passionately speaking or sometimes even leaping from the canvas.